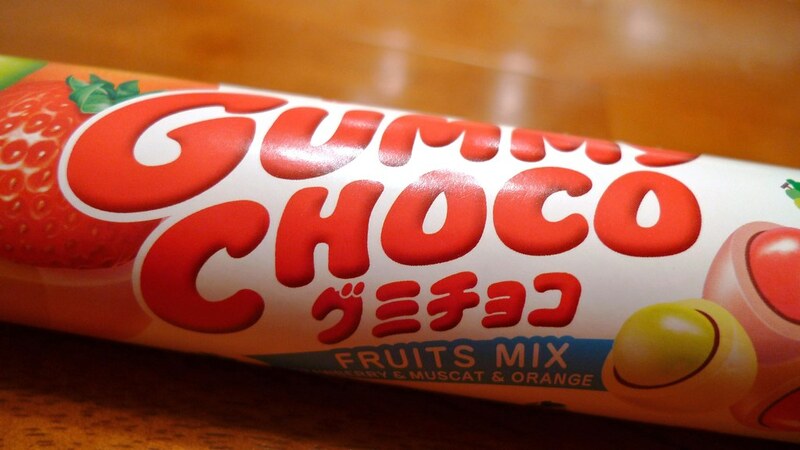 Meiji's Gummy Choco - Fruits Mix. Gummy Choco is always a Japanese candy I've seen, but never took the time to try. Read a review on Candy Blog a few months ago and since it got a perfect score, I had to try it. 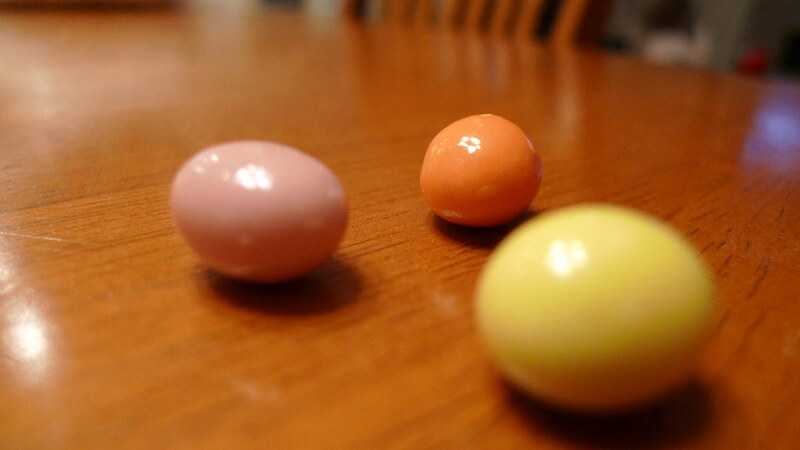 Gummy Choco is basically a bunch of small marble-sized candies that are flavored white chocolate with a fruit filling inside. In Fruits Mix, the three flavors you get are strawberry, orange, and muscat. The flavors are quite pronounced. The strawberry is milky and light, almost like eating strawberries dipped in Cool Whip. The orange tasted like... well, an orange creamsicle. And the muscat grape tasted like a green grape covered in white chocolate. The three flavors of Gummy Choco. I think what I like most about Gummy Choco is the texture. It has a satisfying chew. It's not tough like Starburst, but it's not as soft as gummy gum drops. Another reason why I personally like this candy is because I don't feel like I have to eat the whole thing. It comes in a tube with a replaceable top. When I eat Skittles or M&M's, I feel the need to eat them all because they're in a bag. But with Gummy Choco, I can have a handful and be done with them for a little while. 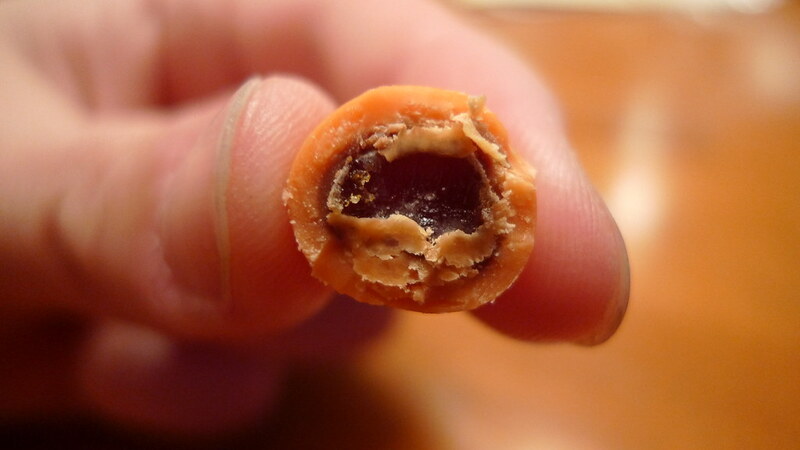 A bite into an orange Gummy Choco. Juliana had a few of these and liked them. My wife, however, did not like them. Then again, she's not a fan of white chocolate, so if you don't like white chocolate or the delightful mix of chocolate and fruit, avoid this. I quite enjoyed them, so I recommend picking some of these up and giving them a taste.